Occasionally I re-visit radio stations, but typically only write up a new field trip report after there has been a change in location. That was certainly the case at college radio station KUSF at University of San Francisco, which lost its FM signal and long-time home in 2011. Re-emerging as online-only station KUSF.org in 2012, the station looks and sounds completely different than it did when I first visited seven years ago in 2009. 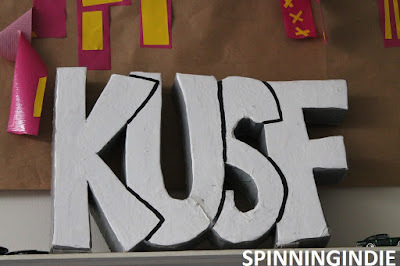 Now in a much smaller space and mostly staffed by student DJs, KUSF.org has re-emerged as a vibrant student activity. See my full report from my September 2, 2015 visit on Radio Survivor. 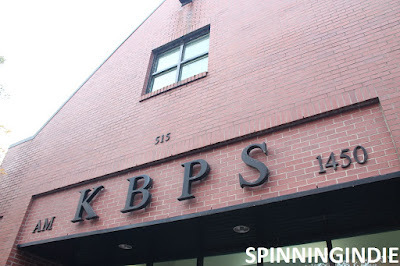 I was thrilled to finally get to visit Benson Polytechnic High School's radio station KBPS-AM in Portland, Oregon on November 8, 2015. To the best of my knowledge, it's the oldest, still operating high school radio station in the United States, as it launched in 1923. The license is held by the Portland Public Schools and over the years students of all ages have participated in station activities. Today KBPS broadcasts over 1450 AM, offering radio training to high school students on the Benson campus.